Hello! Hello! Hello everybody! As promised, here is my newest video: How to speak English fast – Learn English Live 17. In this video, you’ll hear me talking about how the perfect tenses are used in spoken English here in North America and the differences and similarities between “I’m sorry” and “I’m afraid”. DO AMERICANS AND CANADIANS USE THE PRESENT PERFECT? The answer is: yes and no. I have observed from talking to people from different classes of society that usage of the present perfect will vary. One of the common trends I talk about in this lesson is how the simple past is quickly taking the place of the present perfect in daily speech. The more I do research, the more I find that even news anchors and TV personalities are replacing: “I have been travelling these past few weeks” with “I am travelling these past few weeks”. I’m pretty certain these new tense substitutions come from the influence of Spanish on American English since they are exactly the same when translated. In many U.S. states where nearly half the population is of Hispanic origin, it is quite plain to see that their speaking has influenced popular American English. This should come as no surprise as Afro-American English has been part of the “cool” vocabulary of the U.S.A. for decades. “Chill out” is a prime example. SO WHAT AM I SUPPOSED TO USE? PRESENT PERFECT OR SIMPLE PAST? My advice if you’re intermediate to upper-intermediate is to learn to follow the rules using the perfect verb tenses before you start breaking them. The grammar books still haven’t incorporated this verb tense change and in more formal English, the perfect tenses are still used. At the most, North Americans still mix the present perfect and simple past. 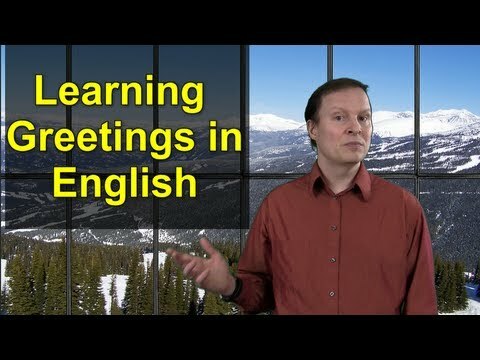 The important thing as you will see in my video examples is how the verb tenses are used according to level of formality i.e. register. Sometimes when two words are similar in meaning it can be tricky to use them in the right way. “Sorry” and “afraid” are two good examples. Sometimes, as you will find out in the video, “sorry” and “afraid” can mean basically the same thing. The formality might change though. On other occasions, “sorry” and “afraid” can be totally different and sometimes inappropriate. Well everyone, this lesson was a lot of work and fun. I spent a long time researching the topic and actually had to film it twice. Please give it a like and feel free to ask me any questions here or on the comment section of the Youtube video.